Greenleaf Medical is a developer of a revolutionary computerized hand evaluation system for hand surgeons. 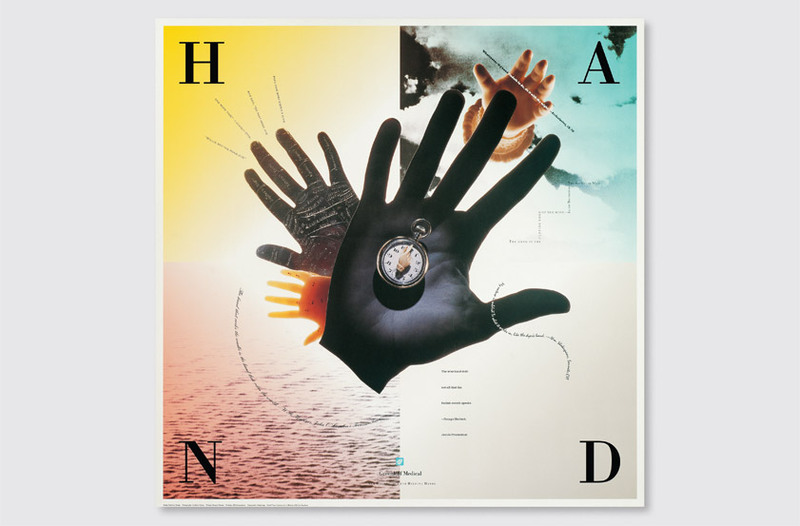 The poster was intended to serve as art for the walls of hand clinics and offices of hand surgeons, in addition to building name recognition for the client. Our solution combines an eclectic selection of quotes and variety of hands to portray the hand as a universal symbol of time and utility. The soft, gradated backgrounds create the effect of light emanating from the central hand image, symbolic of the healing process.